Australian pants Triacetat bies Burgundy. 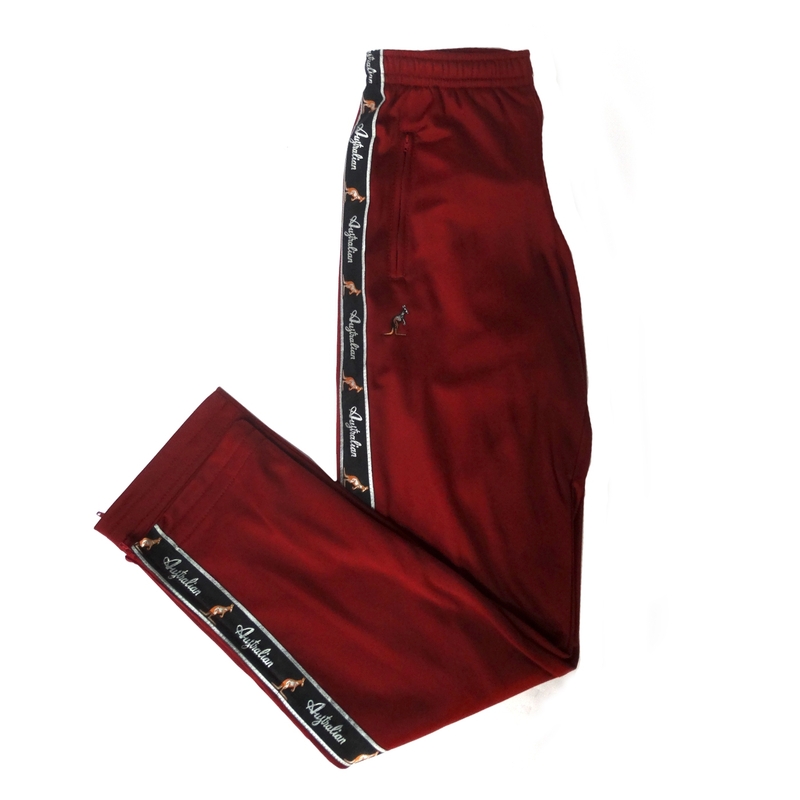 These pants are of high quality and are colored burgundy with a black piping. It has the Australian logo in the small on the front under the right pocket. These pants only have a zip pocket. Join the Australian family!